Hi I'm Ivan. I'm a barista with over 5 years of coffee making experience. Latte Art Guide is a place where I share my love of coffee by providing coffee guides, discussions, and gear reviews. My goal is to help you make the best coffee. So feel free to contact me if you have any coffee related questions. We are a participant in the Amazon Services LLC Associates Program, an affiliate advertising program designed to provide a means for us to earn fees by linking to Amazon(dot)com and affiliated sites. 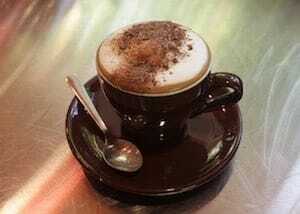 Latte, espresso, cappuccino – there are so many different types of coffee it becomes a language itself! 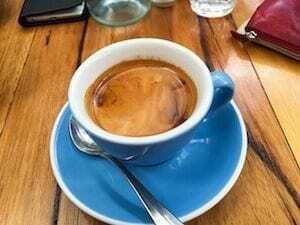 That’s why this guide will explain the differences between 12 espresso based drinks and how they’re made. So no more getting confused at your local café. 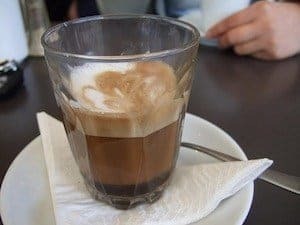 What Are Espresso Based Drinks? Espresso based drinks are coffees made with a cappuccino machine that share three common ingredients: espresso, steamed milk and foam. 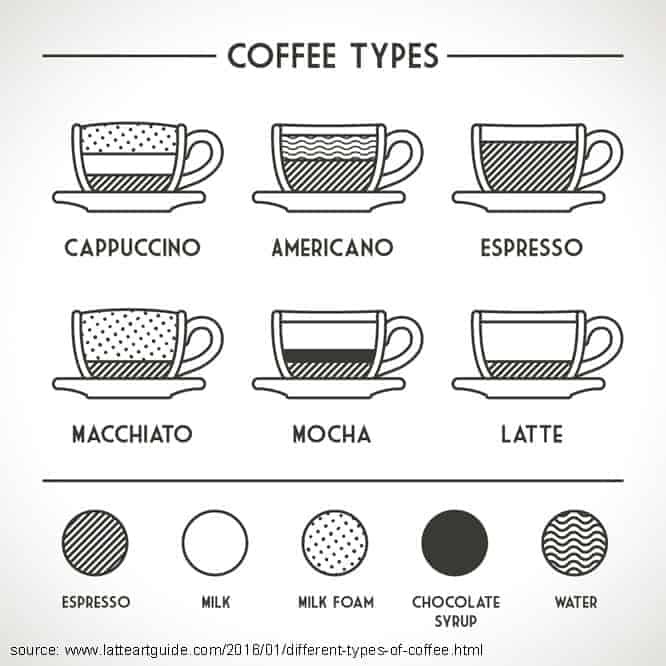 The main differences between them are the proportions of espresso, steamed milk and foam within the beverage. Below are three popular machines used to make them. 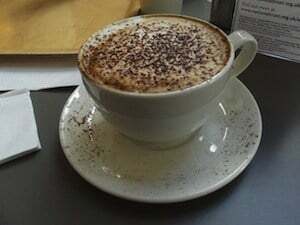 Some coffees have extra toppings added to them to complete the beverage, such as chocolate on a cappuccino. But in essence every espresso-based drink shares the same three ingredients. 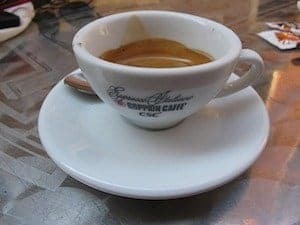 Before we learn each espresso drink recipe, below you’ll find a quick guide explaining the differences between the most common types of coffee. Use the index below to jump to the instructions on how to make the different types of coffee. 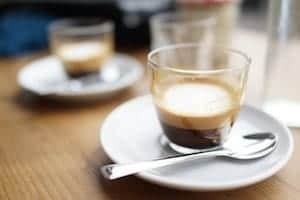 If you need a refresher on how to make espresso or steam milk make sure to check out our guides. 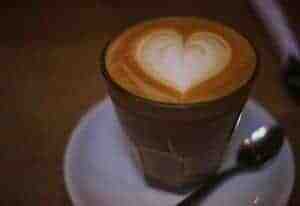 Barista tip: The key to the perfect short macchiato is the rule of thirds. That is you want three different colored layers in the macchiato. 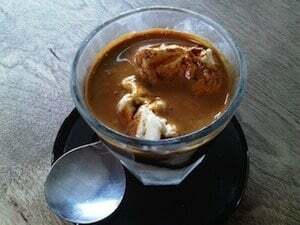 A bottom dark layer to represent the espresso, a middle layer that mixes the espresso and the milk, and a top layer of predominantly steamed milk. Refer to the picture above as an example. 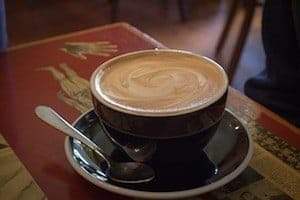 Barista tip: The key to making the perfect three layers is to place the dollop of steamed milk and foam on top of the espresso and then gently turning the cup clockwise a few times to mix the milk and espresso. 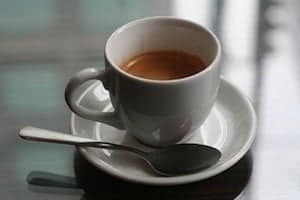 • Extract a standard espresso shot with half the amount of water.• Alternatively turn off a normal espresso extraction before the espresso starts to blonde. Barista Tip: Make sure you back-wash your portafilter before making a long black, otherwise you might find grinds from your coffee grinder floating in your coffee. Barista tip: In the USA it is common to use a cup instead of a tumbler glass for a latte. 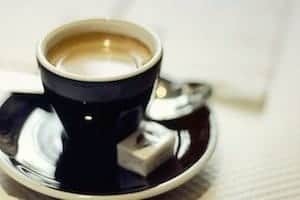 • 1 shot of espresso or 1 ristretto shot of espresso in a espresso cup• Add steamed milk and small amount of micro-foam. Barista Tip: If you feel like an irish kick add a shot of Frangelico liqueur into the mix. 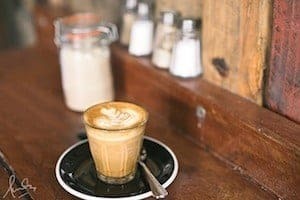 Cappuccino vs Latte - What's the Difference? Copyright text 2015 by Latte Art Guide.